From Peter King's "Cowboys should fire Phillips now; 'Skins, McNabb head for split, too?" Sunday, Week 8. About as boring a football Sunday as there could be for the first couple of hours, Denver and San Francisco exporting horrible football to London; the Redskins stinking it up at Detroit; the Cowboys looking as pathetic as the '62 Mets; Kansas City and Buffalo playing offensive football like it was 1930 and not 2010; the Jets throwing a slumber party for their offense. Then some interesting things happened. Lots of them. The benching of The Solution by Mike Shanahan; Troy Smith grabbing hold of the 49ers quarterback job; Ndamukong Suh playing like not only the Defensive Rookie of the Year but also a Defensive Player of the Year candidate; the Packers shutting out the Jets with a tour de force defensive performance that would have made Lombardi proud. And we haven't even gotten to the Patriots lacerating Favre and the Raiders humbling Hasselbeck and, Saints alive, the Saints coming alive. Off we go on a tour of the NFL as the calendar turns to November. 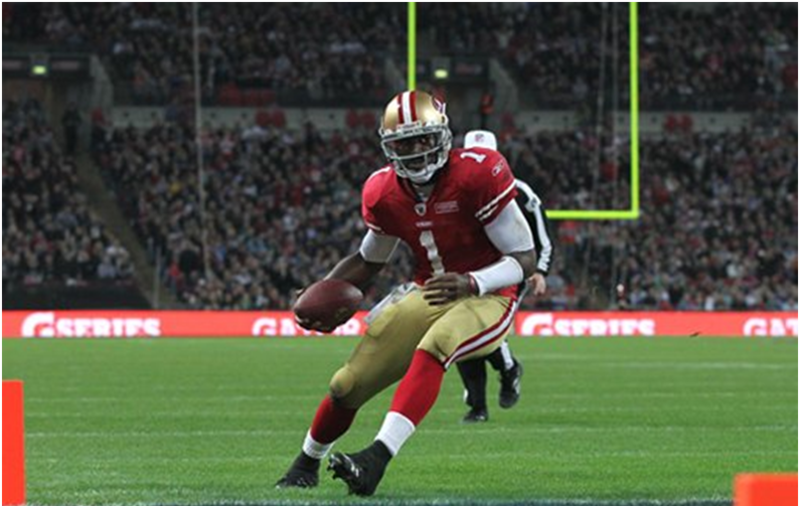 Troy Smith, QB, San Francisco. 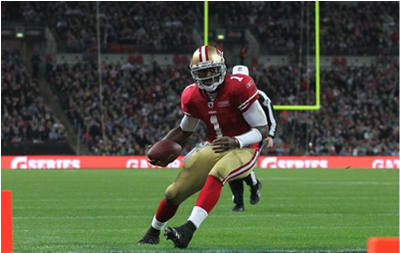 As I said on NBC Sunday night, you'll almost certainly see Troy Smith replace Alex Smith, regardless of Alex's health, when the 49ers come off their bye in 13 days against the Rams. My take is that Mike Singletary sees Troy as the make-something-happen sparkplug he never saw in Alex -- or in backup David Carr.